A year’s worth of novels. How do I choose which ones make my Top 10 list? I read so many interesting books this year. I didn’t have any specific reading goals other than to read more foreign novels (that is, books in translation) and more books from my homeland (Australia). I did well on both fronts, reading some 15 books in translation and 12 Australian novels. Most of my reads were modern fiction (released in the past five years) with a handful of classics thrown in and a helluva lot of Irish stuff. All up I read 82 books, a fine increase on last year’s 30-odd total. My favourite read for 2006 was, without question, the extremely profound Snow by Orhan Pamuk. I found the book so incredibly thoughtful, weighty and sagacious that I could not bring myself to review it. Top ten lists – love ’em! Reading John McGahern this year has been a sheer delight. I too read All Quiet on The Western Front (for bookclub) – what a disturbingly profound read that was. I still have to read Seastian Barry! I’ve not heard of the author or title of 5, 8 or 9. I will have to investigate. I read your post about the bookshops in the West End. I subscribe to Foyles e-mail updates – I would love to visit the store (post refurb and all!). I noticed that you bought The Road. I was able to pick that up a couple of days ago for 40% off 🙂 We may have been purchasing it around the same time on opposite sides of the world! I’m still “uming and ahing” over the Ballard. I agree with you about Snow! I found a way to write about it, but there was no way I could do it justice. I started ‘Snow’ by was unable to get into it. Did you feel that it was a bit slow to begin? Nutmeg, McGahern was a revelation to me — I just adore his work. And “All Quiet on the Western Front” was very moving, especially in the context of the state of the world today. Funny that we bought “The Road” at the same time; I’m really looking forward to reading it. Dorothy, I thought your post on “Snow” was wonderful, and really hit the nail on the head. I often find that if I don’t review a book within a week of reading it, I just never get around to it. But with “Snow” I just didn’t know where to start — although I tried on several occasions. Kate, “Snow” hooked me from the word go. I found it very atmospheric, although I sometimes found it confusing that the main character was called Ka and he was visiting a place called Kars — or was it the other way around? I agree with you about “Snow,” it was very profound, but I just couldn’t wait to write about it. Maybe it’s because I loved it so much that I just had to stand on my little blog mountain and scream, “Read this book!” And to think I may never have picked it up if Pamuk hadn’t won the Nobel Prize. I have “My Name is Red” in my to-be-read pile and I’m looking forward to reading it. As for the book I fell in love with, that’s “The Remains of the Day,” which I’ve already mentioned somewhere in the comments. It was my first Ishiguro novel and I’m itching to get my hands on more of his work. Brandon, I’m tempted to read more by Pamuk, so will be interested to hear what you think of “My Name is Red” when you get around to reading it. As for “Remains of the Day”, have you ever seen the movie? It’s one of my all-time faves. Hmmm…I haven’t read any on your list, but am certainly looking forward to reading a McGahern book. Soon, hopefully soon. Joy, why not track down a copy of McGahern’s “By the Lake” and join our discussion here at the end of January? 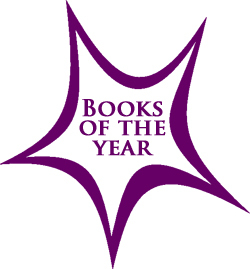 I forgot to include Star of the Sea by Joseph O’Connor, which is probably my most favourite of the year. Kinuk, wow, you’ve read some great books. I loved Star of the Sea when I read it a few years back. I also have The Alienest in my TBR pile. I’ve been tempted by Persephone Books since you first posted about the endpapers. Seeing that Mrs. Pettigrew actually made your top ten forces me to try one out! Thanks for introducing me to this press! Sara, you’re very welcome. The books are lovely to look at, but even better to read, if Miss Pettigrew is anything to go by. I keep meaning to visit the store in central London, but I know if I go in there I may well never come out!! I highlighted my ‘top ten’ in my year end post on my site. It was very hard to choose and I was forced to knock out some that I really enjoyed (‘The Curious Incident of the Dog in the Night-time’ and ‘Rebecca’ come to mind). I’ve just finished A long Long way. I was delighted by its grace. Interesting that you have all quiet on the western front as your number one, drop by and say why…..
Tracker Knacker, All Quiet is listed as number one, but that’s only because the books are in alphabetical order by title — it doesn’t mean it’s my ultimate favourite book of 2006. That honour goes to Snow.